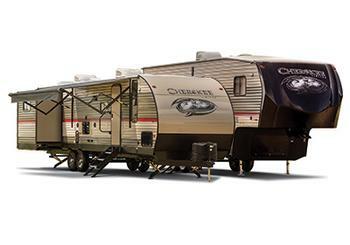 Forest River is recalling 3,297 model year 2015-2018 Cascade and Cherokee recreational trailers. The trailer wiring may have been routed improperly, allowing the wires to be pinched between the chassis and the vehicle body. Pinched wires may short circuit, increasing the risk of a fire. Forest River will notify owners, and dealers will inspect the trailers, rerouting the wires, as necessary, free of charge. The recall is expected to begin February 16, 2018. Owners may contact Forest River customer service at 1-541-644-8072. Forest River's number for this recall is 64-0456.